For most Californians the stress of mid-April has subsided as tax-season has ended. At CalEITC4Me our work to fight poverty is just beginning. Most don’t realize that hard-working Californians can claim the Earned Income Tax Credit they’ve earned at anytime throughout the year. The Earned Income Tax Credit, a cash-back program for hard-working people, has long been established as one of the strongest policy tools we have to fight poverty and make work pay better. Our great state has the worst poverty rate in the nation. To address this crisis, CalEITC4Me founder Joe Sanberg worked in 2015 to establish a state-level Cal EITC. Last year nearly 400,000 people received the cash back they had earned. Already, this year, leading into Tax Day, an unprecedented number of workers — 1.1 million — have claimed the Cal EITC. That means more than $250 million will be put back in their pockets to help pay for life’s basic needs: food, clothing, housing, transportation and healthcare. And the year is far from over, with more people filing everyday. As promising as these numbers are, a majority of eligible workers do not claim the hundreds, even thousands, of dollars they’ve earned. That means that Californians leave an estimated $2 billion of unclaimed EITC dollars on the table. This federal money would go a long way to boost local economies, business sales and new jobs. You might assume that getting people to sign up for a cash-back program would be easy — but it’s not. Why? Because in order to receive the valuable credit, you have to file your taxes — yet workers on the lowest end of the pay scale are not required to file their taxes. In fact, eligibility of the Cal EITC — income below $22,300 for a family with kids— almost mirrors the income threshold for being required to file taxes, which is $20,800. Death and taxes — two universal conditions of life we all want to avoid. If you weren’t required to file your taxes would you? To put it another way, you wouldn’t voluntarily get a root canal if you were told you didn’t need to. But you might, even if you didn’t have to, if you knew you could get up to $6,000 in cash back. So, if we really want to increase the uptake of low-income people who receive the EITC, we need to make sure they hear about it, understand it, and learn how to file their taxes. Education and outreach around the EITC is hard work. This year alone, 85 percent of Cal EITC filers are filing the credit for the first time. This is consistent with years past, and means we have to reach and educate a largely new population every year. This requires aggressive outreach year-round, not just tax season, deploying new technologies and marketing techniques to reach people, and build trust in communities. The education must be culturally sensitive, representing the multiple-languages spoken by EITC eligible workers. The 'surround-sound' campaign entails an innovative texting program, free tax prep events, digital and print materials in Vietnamese, Mandarin, Spanish and English, a digital calculator to determine eligibility, as well as effective coordination with many partners. Given the extensive research demonstrating the impacts of the EITC on health and education outcomes, higher future salaries of recipients, and the economic impact of increases resources spent in local communities, the return on investment on this increased outreach and uptake of the EITC is high in the short-term and long term. We have an incredible program we know works. Let’s make it work for more people, and local economies by working to reach low-income people year around. 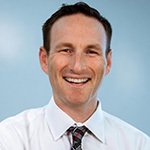 Josh Fryday is President of CalEITC4Me, a public-private partnership founded by Joe Sanberg to spread awareness of the state Earned Income Tax Credit to put more money into the pockets of millions of hard-working Californians.